Cooking Quest is rated 3.1 out of 5 by 38. Rated 5 out of 5 by Suelovesgames from Fun, exciting and very challenging This game is not for the faint hearted. It really make you work for rewards. You start off with a limited amount of money to buy ingredients for a meal that you must cook at the end of the round. You get your money through finding hidden objects. You won't make extra money unless you find the objects in a chain of at least two, but three or more are better. So, you have to plan this in advance in the HOS, seeing where objects are grouped together to click on them in quick sucession. There are six restaurants, each specialising in different cuisines from around the world. The downside is, it's a little short. I wanted maybe two or three more restaurants. It also punishes you quite a lot. Misclicks will result in loss of money and time. The best way to get through this, is to repeat the scene until you have memorised where most of the objects are. I liked the fact that you can buy really cheap and nasty ingredients or spend a bit more and get the best. The snag is, to get the best ingredients and make a great meal to please the chefs, you must purchase quality ingredients. I made 2nd place chef in most restaurants and only 1st place in one, no matter how much I replayed the scenes. They don't make games like this anymore and some people might say, Thank God, but I also liked the graphics and environmental sound effects, although the sound was sometimes a bit annoying.The fun for me was in the challenge. It's all HOS, apart from the end of the round where you actually make the three course meal with your ingredients. It's not a relaxing game but it is exciting! Rated 5 out of 5 by MDSanders1977 from Hidden Object plus Cooking is one great game!! 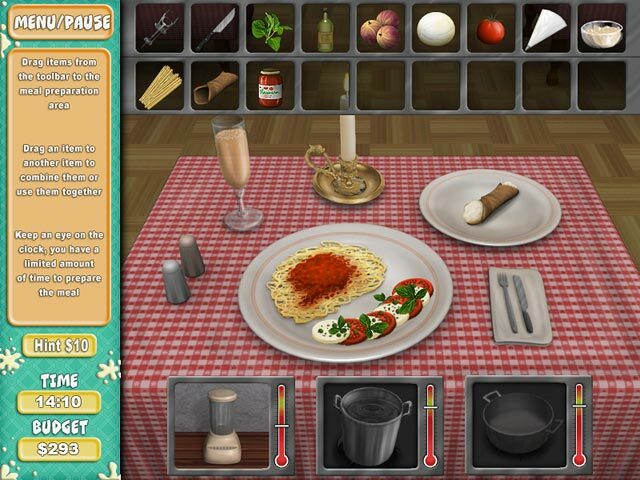 Hidden Object are my favorite type of games, and this combines my passion.. cooking. I love the play of this game, the only downside I think is there is limited variety. There are 6 restaurants with their own style: steakhouse, Italian, French, Seafood, Asian and Mexican. Each time you play, it's the same dish again (i.e. grilled fish at the seafood place or coq au vin at the French restaurant). I would like to see more options.. instead of making sweet and sour pork every time at the Asian restaurant how about some chow mein or stir fry veggies? Or add more cuisines like Greek, Indian or Spanish (not the same as Mexican, I know!) It'd be nice if Big Fish would make it as an update you can load into your game already instead of purchasing a whole new game too. Rated 5 out of 5 by elvisdepressedly from Not intense but not too easy This game is really good for people who enjoy a bit of a challenge but not something that's impossible. 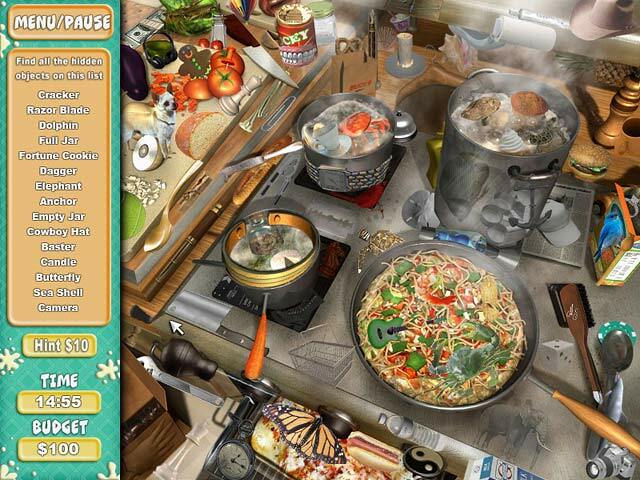 I love that it combines the cooking aspect with the hidden object challenge. The only bad thing is there aren't enough levels. I've played each of them at least ten times! Rated 5 out of 5 by kenya64 from Fun little game if you have an entrepreneurial spirit... This s a hidden object game with a twist. Each level give you an opportunity to make your restaurant get the highest star rating. Before you know it you are finished all the restaurants levels, but it was fun never the less. Rated 5 out of 5 by mcf_fan13 from Unique and fun for me I was surprised to see the mediocre reviews. I thought this game was great fun, different. I have even looked for a sequel many times, but none. I guess when it comes to reviews, "fun" is in the eye of the beholder, like movies. So if you are unsure, would certainly play free trial to see. Rated 5 out of 5 by Michelle260 from If you've ever worked in a kitchen you'll love it! This was my offered Daily Deal for $2.99 Have not had this much fun for three bucks, since the 60's! 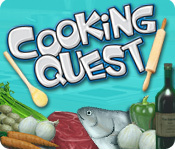 Rated 5 out of 5 by bigfish5387 from Cooking Quest i like the cooking quest game , its great!!!!!!!. Rated 5 out of 5 by Jiisa from Love it This is the first game I bought from Big Fish and the one I go back to and play the most. Finding the hidden objects is challenging without being tedious and the cooking is a lot more "realistic" than in other cooking games. My only complaint is that there are so few levels. Hopefully a sequel which is equally as good will someday be released. Rated 5 out of 5 by brownmccready from LOVE this game! Definitely needs MORE LEVELS!!! I love this game so much. 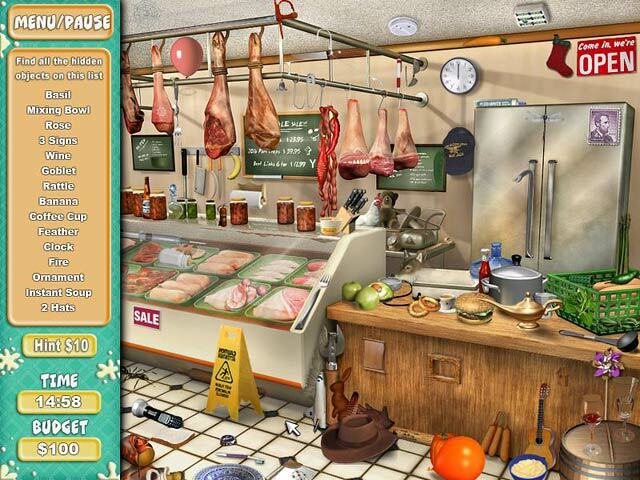 It has the hidden object level which is challenging, it teaches you about cooking terms/products, and finally in the end you have to figure out how to put a meal together going thru the preparation steps the way a chef/restaurant would. Great great game...especially if you like cooking techniques and terms. My biggest complaint is there aren't enough restaurants to challenge you. I think the game only has 5 restaurants. More restaurants and challenges are DEFINITELY needed. Look forward to Cooking Quest Part II.